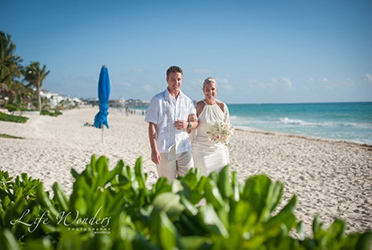 The most intimate wedding memories begin with the bride and her wedding party getting ready for her ceremony. I want you to have wonderful photographs of your Getting Ready session, so here are three very useful tips to help avoid problems and keep you relaxed on your special day for a series of beautiful photographs. 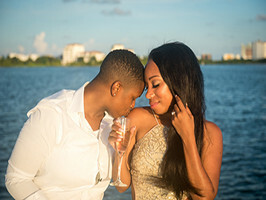 These moments are often filled with loveliness and anticipation, and you will always be happy that you had a photographer to capture these moments forever. I tell this to all my brides and we have an amazingly fun time together. Dana looks radiant and relaxed during her Getting Dressed. Again the natural light really enhances her beauty. 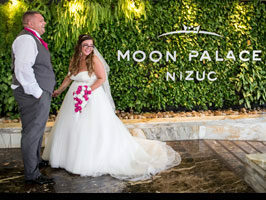 Take a look at how radiant and relaxed Dana is in her Getting Ready session at the Riu Palace, or how stunning Marilyn looks in her Now Sapphire Cancun wedding photos with her lovely bridesmaids. 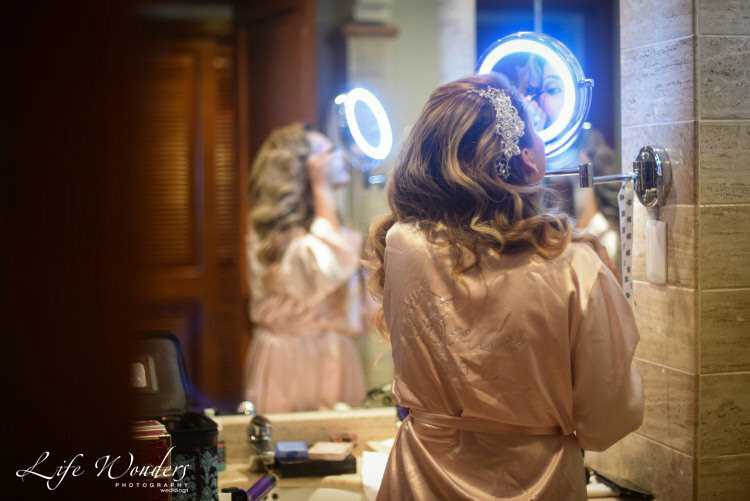 Many brides think the purpose of a Getting Ready Photo session is to document the entire process, but this is only partially true. Your photographer arrives to capture the final moments of your Getting Ready session. I will artistically photograph your beautiful wedding ring, your veil, shoes and your dress hanging elegantly on the door. 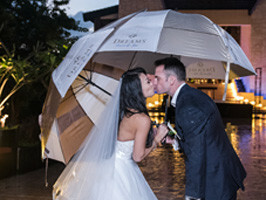 In order for your photographer to capture these spontaneous, tender moments before the ceremony, you will want to give yourself time. 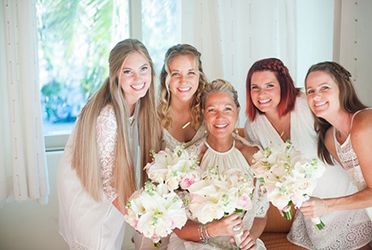 Have your hair and makeup done before the Getting Ready session, and later, we will take wonderful photos of the final touches to your hair and makeup. 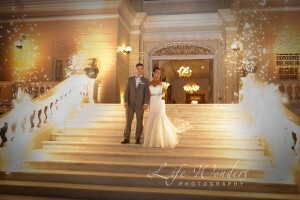 The moment you put on your dress and become a beautiful bride is a very special, singular moment. 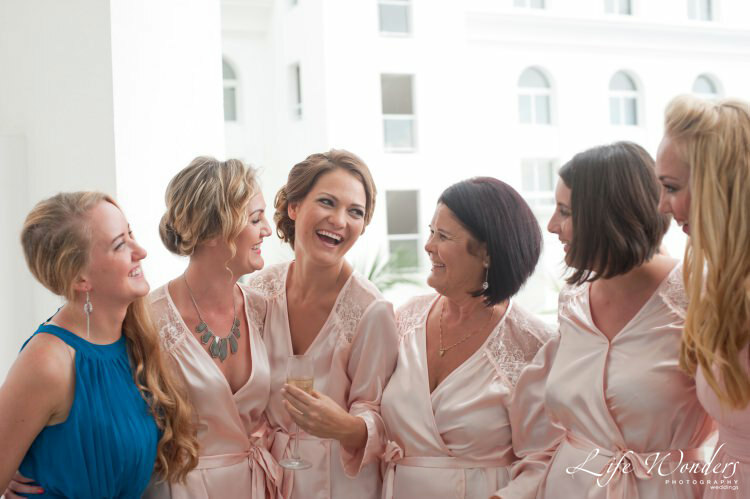 When I arrive, I will take photographs of you putting on your dress, sharing special glances with your bridesmaids, sisters, or mother, as they help you button your gown, put on your shoes, or adjust your veil. 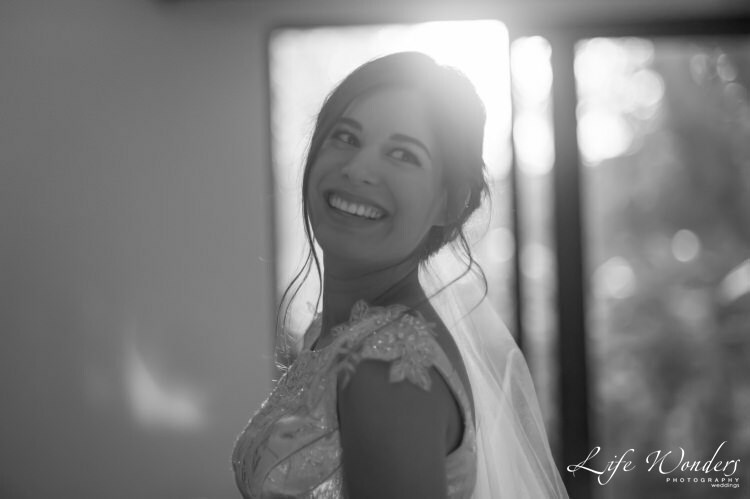 I will also capture the intimate and emotional moments when you first see yourself, or when your father first sees you beautifully dressed as a bride. You may not have thought of this, but you will be so happy if you are aware of this little detail. Be sure to keep the room where you will be getting ready as uncluttered as possible—hide bulky suitcases in the closet, throw away any garbage, hang up extraneous clothes, and have the bed made. I want all the brides I work with to enjoy their wedding day, so I will tell you what I tell them: give this job to one of your bridesmaids. To be make it even easier, you can also request housekeeping to your room in the morning. Viola! 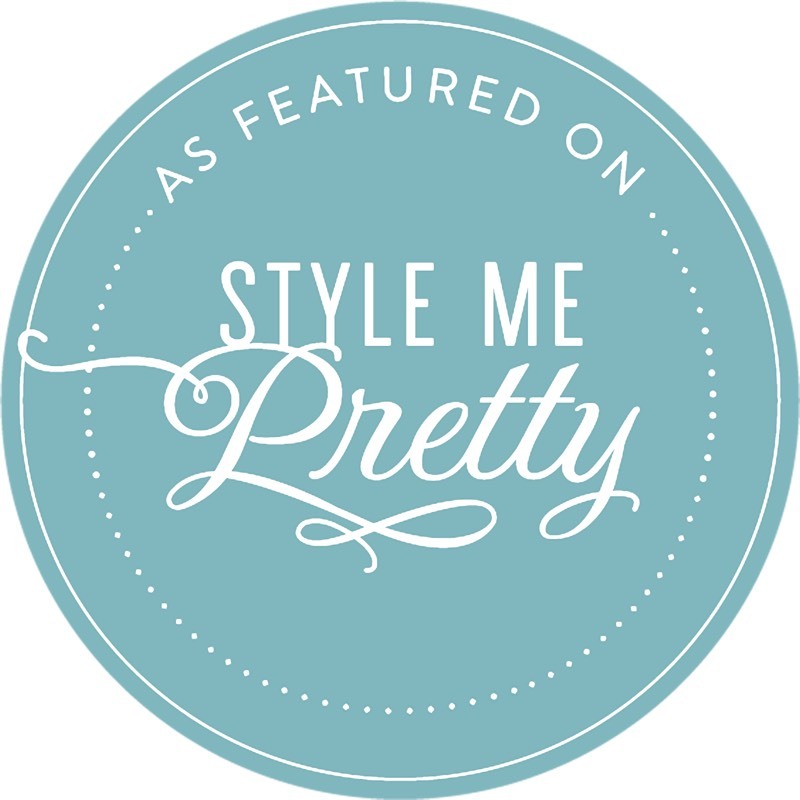 A clean room also provides the perfect backdrop for photos of your dress and shoes. 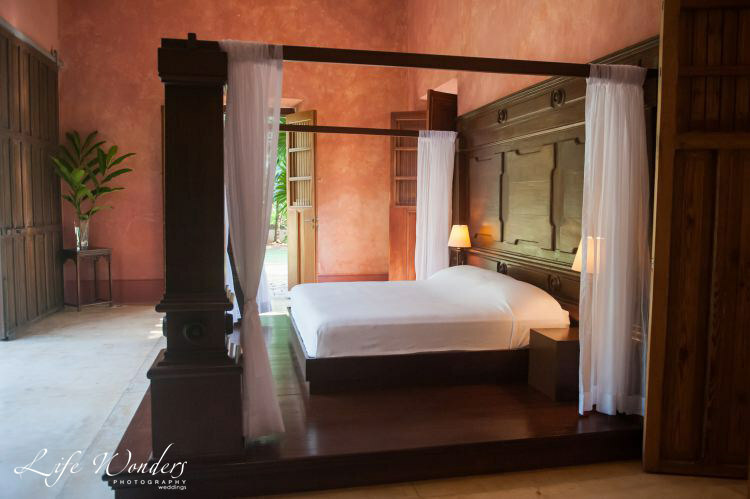 Look at this gorgeous photo of Marilyn’s dress hanging from her canopied bed. The colors of the crisply made bed allowed for an exquisitely toned and balanced shot, which would have looked differently had the bed been a mess. Clean and crisply made bed will tone and balance the photograph. 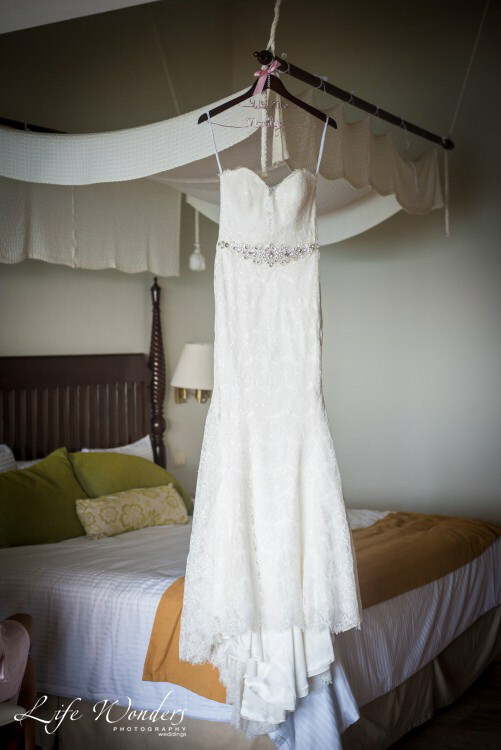 This allows the dress to be the focal point and look elegant and beautiful. Once, I went to a wedding where the groom was given a glamorous master suite with ocean views, large patio doors, and a grand terrace. 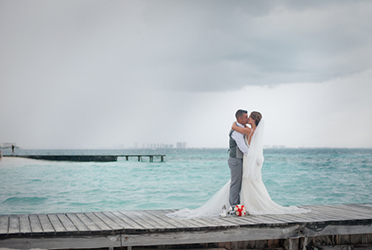 Meanwhile, the bride had a small room in the back of the resort, with minimal natural light and almost no patio. Obviously, while they were going to be together in the master suite for their wedding night and the days following, the time spent getting ready was in those separate, contrasting rooms. It was then I decided I needed to make sure to tell all my brides to stay in the nicer, bigger room. Why, you ask? Because of the Getting Ready photo session! 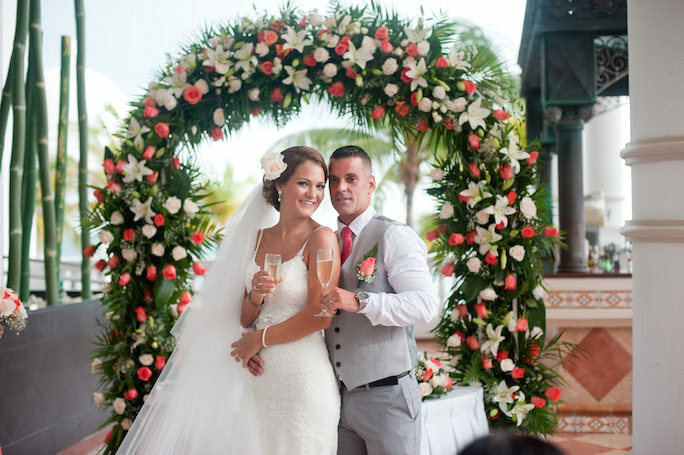 Your room sets the scene for the ritual of getting ready for your wedding, and it is important that the setting complements the beauty of this time. You are going to look gorgeous in your getting ready photos, and you will look even better if you’re not in a cramped room. 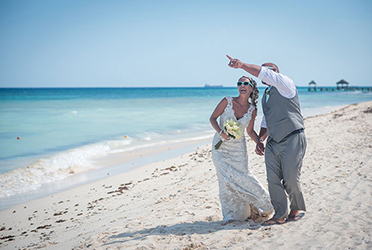 I love sharing what I have learned working as a wedding photographer in Mexico, and while these three tips are key to having a great getting ready photo session, there are plenty of other little details to consider (like what hairstyles and sun care work best for a beach wedding). 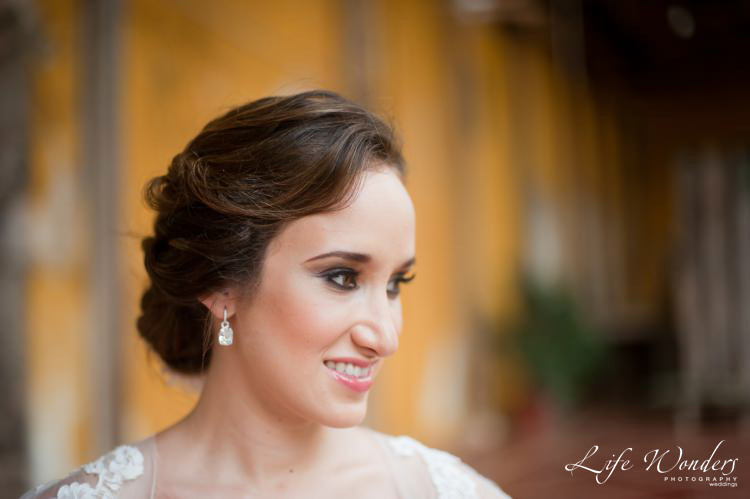 Sofia looks so happy here and the beautiful grand halls of this Hacienda in the background gives this photograph an elegant classic feel. 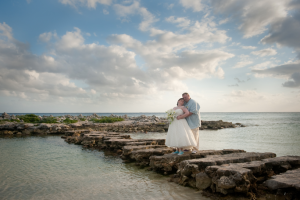 I want to help all my brides feel relaxed while I capture the unforgettable moments of their day, and my experiences have given me plenty of tips to share. If you want to discuss how to make your getting ready photo session amazing, get in touch with me and we can talk about some of the fun ways to capture it.